Jacksonville Beach Plaza Project | Oak Ridge Foam & Coating Systems Inc. This existing roofing composite included primarily a built up roofing system that had been coated over using an aluminized coating. 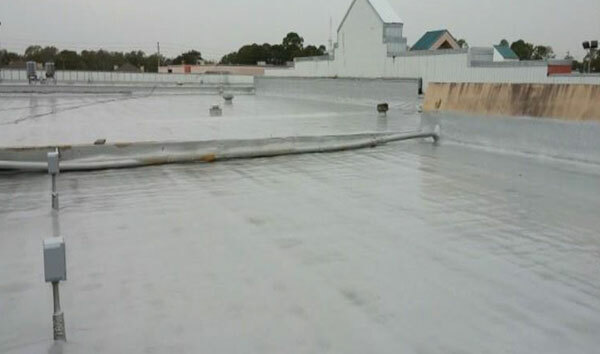 Baking in the Florida sunshine, both the installed coating and the roofing system began to fail. Roof mounted accessories, cracks in the membrane, and surrounding parapet walls all contributed to the continued water leaks into the plaza’s occupant spaces. An approved applicator for Oak Ridge Foam and Coatings prepped the existing surface by removing all loose debris and contaminants, providing for a dry, clean and stable substrate. 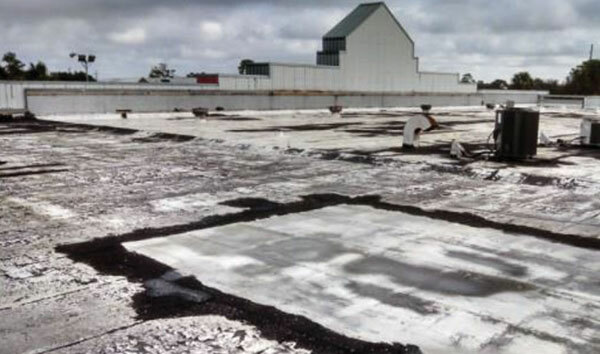 The project included applying one inch plus of Spray Polyurethane Foam and a minimum of 50 dry mils of the pure Polyurea OR80SLM aluminized coating system.